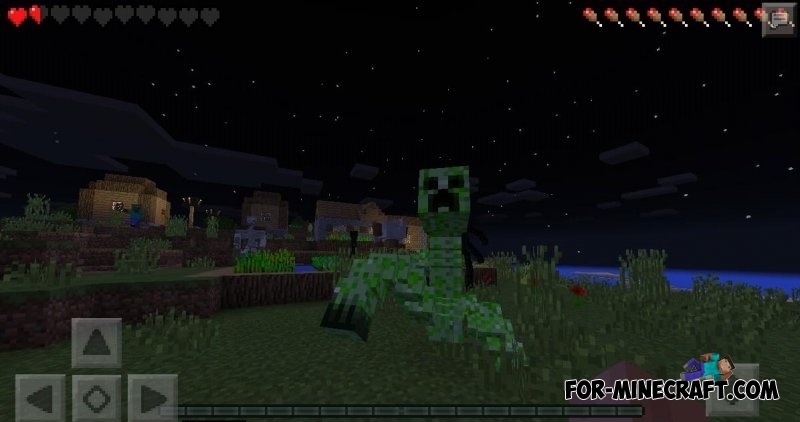 The mod adds four terrible mutant mobs. They will hunt for you, spawn new monsters from its body and trying to hurt you with filthy paws! Little helpers also will attack and try to kill you. A small bug is incorrect behavior of some textures. Be careful in survival mode, these mobs have high strength and are highly dangerous for you. Where to find the mutants? You can spawn these creatures only using spawn eggs in creative mode (weapons tab). Mobs are very dangerous not only by his attacks, but also their little minions. How to install Mutant Creatures mod? The mod requires an active internet connection! Click on the wrench key, => "Settings" and "ModPE Script".